Featuring two large main compartments, the Tecnifibre Endurance ladies 6 racket bag offers plenty of room for your equipment and accessories. This stylish and practical bag with a sporty, yet feminine design can hold up to 6 rackets and additional gear and has a side zipped pocket ensuring quick access to smaller items. The bag is produced from a strong and durable fabric and lets you comfortably carry your belongings to and from the courts thanks to padded, adjustable backpack straps. for submitting product information about Tecnifibre Endurance Ladies 6 Racket Bag We aim to answer all questions within 2-3 days. 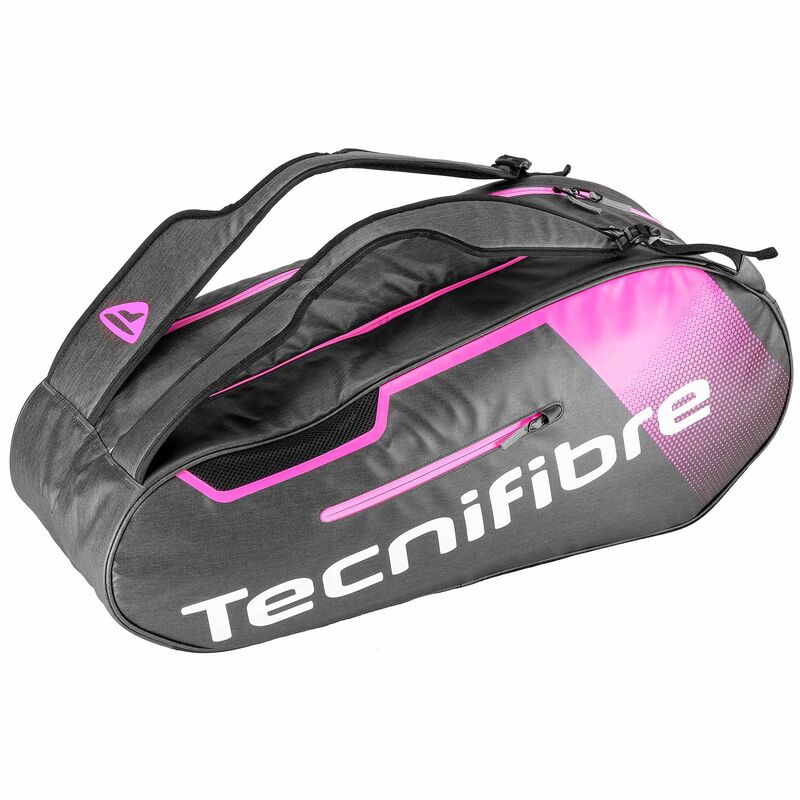 for submitting product information about Tecnifibre Endurance Ladies 6 Racket Bag . We aim to answer all questions within 2-3 days. If you provided your name and email address, we will email you as soon as the answer is published. for submitting product review about Tecnifibre Endurance Ladies 6 Racket Bag .